Anybody who owns a car is aware that car insurance is not only useful but also mandated by law as a must-have for vehicle owners. A motor insurance not only saves great financial trauma in case of an accident, but also guarantees peace of mind with respect to liability, if an unfortunate third person were to be a victim in an accident involving your car. But there is often confusion regarding what motor insurance entail and careless assumptions lead to much problems for policy holders at the time of claim settlement. Read on for a complete checklist before going for a motor insurance. What consists of motor insurance? How is sum assured calculated? The sum insured in a motor insurance policy reflects the value of the vehicle which is calculated on Insured's Declared Value (IDV). IDV is arrived based on present value of the vehicle and the age of the vehicle (depreciation). 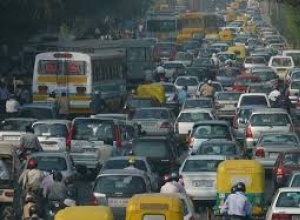 For Third Party: The Motor Vehicles Act, 1988 governs the coverage under this policy. Compulsory personal accident cover for owner-driver is also included. Policy can also be extended to cover various other risks like personal accident to occupants of vehicle, workmen's compensation to driver, etc over and above the cover available to him under statute. Who is an ideal car insurer? The information mentioned in the motor insurance policy document about your vehicle should match with the details in your RC book including clearance certificate, model type, fuel type – Diesel, CNG or petrol, seating capacity –which is considered very important. Factors that change your premium from company to company? The premium to be paid for motor insurance differ from company to company. The factors which determine this are discounts offered, personal accident cover, different IDV. The premium for PA Cover or personal accident cover is more or less similar across companies and is based on the amount one opts to be covered for. This is availed as add-on or optional cover and may not come built-in a policy. Insurers try to reduce your IDV which also decreases your premium. This might seem lucrative in the short-term but please be advised lower IDV will also lower the sum assured at the time of claim, as it lowers the estimated cost of your car which is the basis of calculation of the sum assured. Keeping IDV on the higher side helps during claims and the time of selling your car. Excess: This is the amount deducted by the insurance company from sum assured at the time of claim settlement. There are two types of excesses, one that is mandatory and the second is a voluntary option given to the insured to reduce their premium burden. The second option is best left untouched since it’s voluntary and will only reduce the final settlement amount paid by the insurance company to the insured. In what cases can the insurance not pay full IDV? It is to be noted that in-case of an accident where cost of repairing is more than 75 percent then the insurance company will pay the entire IDV to you. 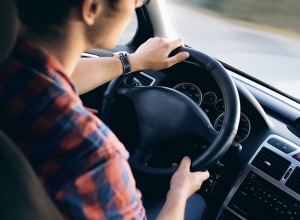 There is no liability on part of the driver who is at fault and all damages paid to the third party are covered under the premium paid by the driver (assuming same as insurance holder) to the insurer.